Thailand’s accelerators are outnumbering startups and they run the risk of looking all the same. Thailand’s ecosystem is growing fast. 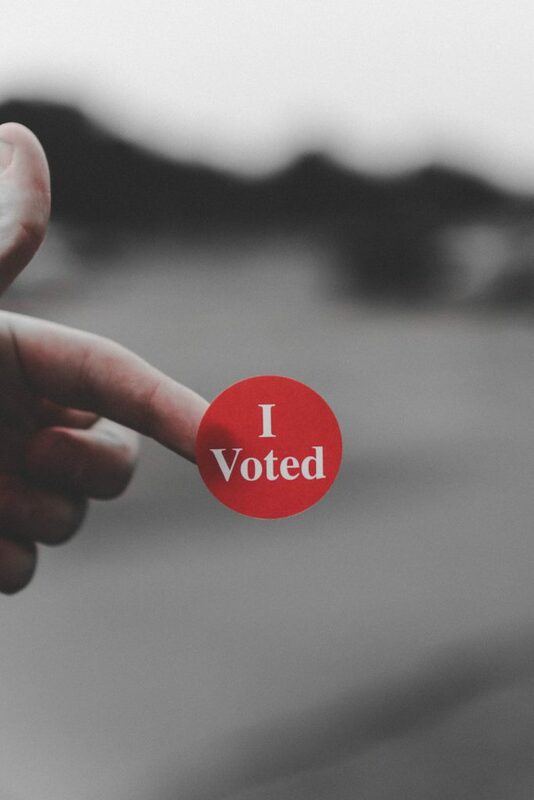 Most of the progress is thanks to the support from accelerators and their programs that provide investments, connections, mentorship, and a stage for startups to scale. However Techsauce media CEO and co-founder Oranuch Lerdsuwankij says the kingdom is now at a stage where this support has to be taken to another level. Accelerators must go back to the pain point of startups. Startups need tangible results and training is not always the answer. Oranuch agrees that training is important, but when a startup has to focus on running its daily activities, they do not have much time to be allocated for attending a training session. What is important to them is meeting the right mentor and making the right corporate connection to scale up. So when it comes to deciding which accelerator program they are going to enter, the connection comes first. Thailand’s accelerators are outnumbering startups and their programs run the risk of looking all the same. Oranuch says Thais must look outside to big brother ecosystems that have matured such as Hong Kong, Europe, and the United States. Accelerators in these ecosystems have realized that it is impossible to be an expert in all fields. Instead, it is wiser to focus on the fields that you are good at. At this moment there are two clear fields, one is the healthtech and the other, driven by technology such as blockchain and artificial intelligence (AI). Getting tangible results is the ultimate goal for both startups and accelerators. 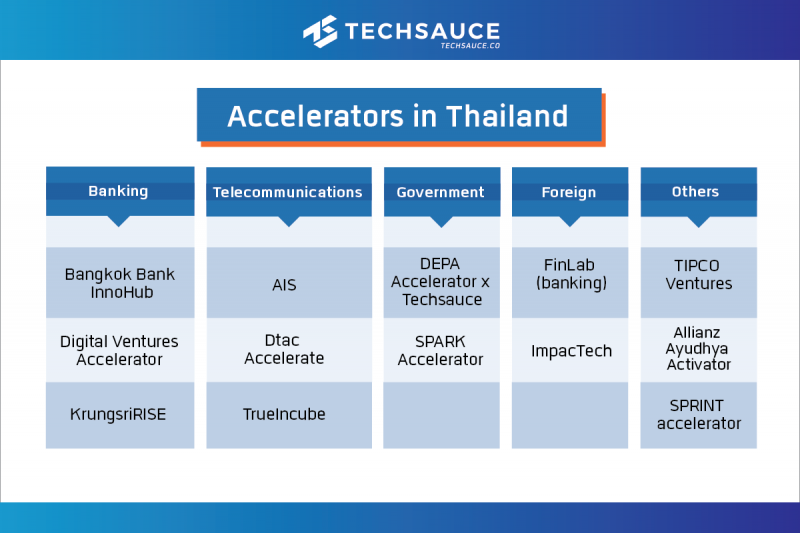 So to get a better idea at what stage Thailand is at when it comes to accelerators, Techsauce has gathered all of the information for you around the sectors of banking, telecommunications, government, foreign, and others. Who are they? Bangkok Bank InnoHub was created by Bangkok Bank, one of the largest commercial banks in Thailand and Southeast Asia, and Nest, an international venture firm and innovation provider from Hong Kong. Together they have run two batches of startups already. What startups are they looking for? Originating from a bank, the accelerator is pure FinTech, with a focus spanning across the following five areas – 1) creating a unique customer experience, 2) digitalization and automation, 3) future SME solution, 4) innovative payment, and 5) discovering cutting-edge technology. Startups do not need to be financial experts. They just need to show they have a creative vision and inspiring solutions because the program provides financial experts as mentors. The accelerator is looking for a company that either has a functioning prototype, a product that is looking for validation in a commercial setting, or is a revenue-generating startup looking to scale to new high potential markets. It accepts Thai and foreign startups as well. What do startups get? The accelerator provides a 12-week program that allows startups to collaborate with Bangkok Bank and receive mentorship from financial experts from Bangkok Bank and Bualuang Ventures. Mentors are from Bangkok Bank and regional experts from Nest and a network of entrepreneurs and business leaders. In addition to receiving guidance from Nest, startups are guided through a process of securing a Proof-of-concept (POC) with Bangkok Bank so that they can pitch for investment at the end of the program. In terms of the equity stake component, Nest and/or Bangkok Bank will only have an investment agreement on a case by case basis and it is based on a mutually agreed valuation. There will be no fixed equity percentage upfront. Instead, both sides will work to determine the value that everyone is comfortable with. How are startups chosen? Companies that apply will be vetted by a joint Bangkok, Bualuang Ventures, and Nest vetting committee. The best startups will proceed to the pitch day where they will pitch in person or virtually to a panel of judges. Eight will then be chosen to demonstrate their potential to work with Bangkok Bank. At the end of the program, there is a demo day. Alumni Startups that have successfully gone through the accelerators are Bambu, Bento, Canopy, FundRadars, Covr, Everex, First Circle, and InvoiceInterchange. Who are they? Siam Commercial Bank (SCB), established in 1904, is Thailand’s oldest bank. Joining the movement to support innovation, SCB is supporting startups in two different ways. SCB has a corporate venture capital (CVC) and an accelerator, Digital Ventures Accelerator (DVA). DVA is a subsidiary of SCB that was initiated in 2016 and it seeks to drive change in the banking industry. It has already successfully mentored two batches of startups. Recently SCB has another project this year supporting university students in developing products in DeepTech with its program, U.REKA. What startups are they looking for? DVA is looking mainly for FinTech, but like other accelerators that have partnered with corporates in other sectors, DVA is open to startups from different sectors. Their main partners are AWS, Ananda Development, Baker & McKenzie, PrimeStreet Advisory, PTT, and AddVentures by SCG. What do startups get? DVA is a 6-month intensive program with mentors dedicated to working with each startup throughout the program. Startups get mentorship, a legal course, a venture capital clinic, startup essentials, a finance course, and a product lab clinic. The aim is to provide fundamental business knowledge in the first three months with startups taking three essential courses: Startup Essential, Legal and Financial courses. Startups get free access to a working space for six months, an opportunity to join local and international conferences and events, and direct connection with VC funds. Startups get a chance to gain a 300,000-Baht grant (with no equity taken) and an option to get seed funding of at least 1 million baht for 4 – 6 % of equity at the end of the program. How are startups chosen? Startups will get the opportunity to pitch to SCB top executives from every business units present their ideas on demo day to top venture capitalists (VC) and investors. Startups have to show potentially disruptive business ideas, already have a prototype or a ready product, ambition towards regional and global growth, a founding member must be Thai and the company must be registered in Thailand, and the team must be based in Thailand to participate in the program for the whole six months. Alumni Graduates of the program are PetInsure, the first online pet-insurance service in Thailand and Seekster, a job-hunting app for people in general and small and medium-medium-sized enterprises. There is also property marketplace OneStockhome and MetiCuly, producers of the 3D-printed prosthesis. There is also Chomchob, Dootv Media, and Event Banana. Chomchob is a platform that combines reward points from cards for shoppers. Dootv Media provides video streaming service provider. Event Banana is a platform that manages venues for events. Who are they? Similar to DVA, KrungsriRISE is part of one of the leading banks in Thailand’s move to benefit from innovation. Krungsri or Bank of Ayudhya Public Company Limited is the fifth largest bank in Thailand in terms of assets, loans, and deposits. Like SCB, Krungsri has both a CVC (Krungsri Finnovate) and an accelerator, KrungsriRISE. Launched in 2016, KrungsriRISE was Thailand’s first corporate FinTech accelerator and now is now on its third batch of startups. What startups are they looking for? It’s finTech focused and has five main branches of interest. They are general (P2P system where computers systems connected via the Internet will no longer need a central system to communicate with each other), insurtech, hrtech, portfolio management, and customer engagement. Over the years, KrungsriRISE has included 11 areas called FinTech Plus. They are data analytics/data science, chatbot, AI/Machine Learning, cross-border transfer, blockchain, cyber security, E-KYC/Biometric authentication, robot advisor, InsurTech, e-commerce, and social learning platform. KrungsriRISE is investing in series A or later stage with startups that have commercial activity with Bank of Ayudhya (Krungsri) through Krungsri RISE or Start-up Project Management are highly preferred but not required. Participants can be of any gender, nationality, or religion. What do startups get? Startups will undergo a 12-week intensive boot camp led by top-level experts and experienced CEOs. In a fun-based environment, startups work 1-on-1 with mentors such as Korn Chatikavanij, the former minister of finance, Thakorn Piyapan, Head of Krungsri Consumer Group and Head of Digital Banking and Innovation, and many more. They will also get a chance to meet CEOs from Southeast Asia from Krunsgsri’s regional partners: VISA, Google, AWS, Tencent Cloud, Grab, and SendGrid. Startups also stand a chance to benefit from Krungsri Finnovate’s fund of US$30 million. How are startups chosen? KrungsriRISE conducts roadshows in provinces such as Chiangmai, Khon Kaen, Phuket, Singapore, and Vietnam. They then select winners to participate in a boot camp and then each startup will have to present on Demo Day. Alumni Popular alumni include Baania and Finnomena. Baania is a property platform that utilizes Big Data sources to allow users to automatically get a valuation of their properties and matches Krungsri loan products and services with the customers. Finnomena is a platform that provides inside knowledge on investment and provides the Finnomena Port, a tool that helps users personalize their investment portfolio in terms of the amount of risk they want to take. Who are they? AIS or Advanced Info Service Public Company Limited is on of Thailand’s biggest telecommunications company. Now, AIS does not actually have an accelerator program, but Techsauce is mentioning it because it was one of the pioneers in investing in startups as it started its program in 2011, called Start Up Weekend. At present, it has a CVC called InVent which it founded in 2012. The CVC is an arm of Intouch Holdings PLC, an asset management and investment company, which is a big shareholder of AIS. INTOUCH with its roots in Singapore, is able to partner with Singtel Innov8, a CVC with a fund size of US$250 million. Techsauce will just talk about the AIS The Startup CONNECT program which allows startups to present works and creations 24 hours a day for joint development of products, business marketing plans and strategies, and possible partnerships with AIS and its partners. What startups are they looking for? The program is pretty much open to a wide range of sectors, ranging from agritech and foodtech, healthtech, to VR Content Creator. What do startups get? Startups can get private one-on-one mentoring, take part in the AIS-MIT startup exchange program, receive help in coming up with a special business model, be a part of Innov8Sparks & Go IGNITE, get executive leadership training, get privileges with the AIS infrastructure, partnership, AIS The Startup Family, and much more. How are startups chosen? Startups register online, send their business details, and wait for an appointment to pitch their project. The AIS Product Committee and the AIS The Startup Committee will judge startups on market desirability (30%), team combination (30%), operational feasibility and product (20%), and business model (20%). Alumni Notable startups from the program are Stock Radar, Food Story, and QueQ. Stock Radar utilizes total stock data to present complex statistics in a simplistic, easy-to-use design for investors. Food Story helps restaurants simplify their operations by putting both front and back of a house on one platform. QueQ is an app that allows customers to queue for popular restaurants online and it is branching out to hospital queues too. Who are they? Dtac Accelerate is by DTAC, the second largest telecommunications company in Thailand. It has been the most consistent accelerator in Thailand for the past six years. It has so far invested in 46 teams from five batches of startups. The total valuation so far is over THB5 billion. The success rate has been 70% and teams receive follow-on funding, making the accelerator one of the most funded startup communities in Southeast Asia. Its portfolio consists of one exit, four series A, and 17 seed rounds. It has an alliance with Muang Thai Life Assurance, Sansiri, and LINE so startups have the opportunity to connect to other sectors of business. What startups are they looking for? The accelerator is open to all industries of tech with past batches consisting of startups ranging from agritech, edtech, to even Deep Tech. Types of startups include clean tech, cloud service, education, enterprise, entertainment, financial service, gaming, hardware, healthcare, internet of things, mobile application, mobile commerce, payment, and social enterprise. It supports equality and diversity and 25% of its startups having female co-founders. It looks for early-stage startups that are primed to scale with a solid team with passion and full commitment. What do startups get? 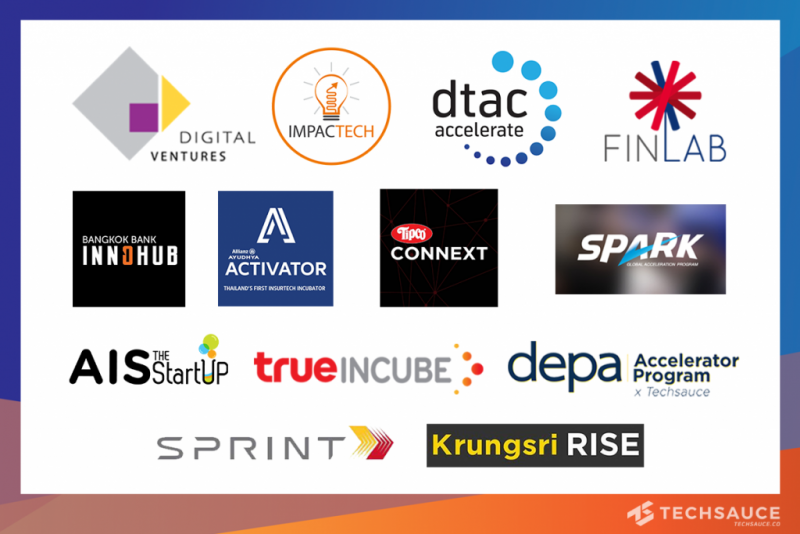 With the accelerator under Dtac, startups get to participate in a high-powered Silicon Valley curriculum boot camp, committed funding of up to 1.5 million Baht, access to a totally free co-working space, extensive PR support, legal support, partnerships, and marketing push. There is also one-on-one mentoring from gurus in the industry. Dtac’s demo day has gotten bigger each year with VCs 500 tuk-tuk and KK Fund taking part. How are startups chosen? Startups apply and are selected to take part on the pitch day. There is then an intensive boot camp and a demo day. Alumni There is Ricult, Claim Di, GIZTIX, Ooca, and Somjai Loan. Ricult uses Machine Learning and satellite imagery to help Thai farmers increase productivity and access affordable loans. The Claim Di app allows car owners to claim a report within 5 minutes of a car accident. GIZTIX is a logistics platform for businesses shipping goods to customers domestically or internationally. Ooca is an app that offers users sessions with a psychologist or a psychiatrist via video call. Lastly, Somjai Loan is a one-stop home loan application. Who are they? TrueIncube is an accelerator from True corporation, one of the top three telecommunications companies in Thailand. The program supports creative startups with funding and special coaching. Unlike Dtac, TrueIncube has made changes to its program over the years. The latest campaign is the Startup Grand Prix, which seems to focus on a boot camp that takes startups overseas to learn from other ecosystems. It seeks to provide an opportunity to partner with True Corporation and its affiliated companies through an incubation process and provide marketing support. What startups are they looking for? The accelerator looks for startups in the categories of Internet of Things (IoT), SME solutions, digital platforms, big data, fintech, real estate technology, digital health, and agritech. Startups would have already incorporated themselves as a company. They need to have existing products and services (or a functioning prototype) that is operating in the current market and the company looks towards an expansion. What do startups get? 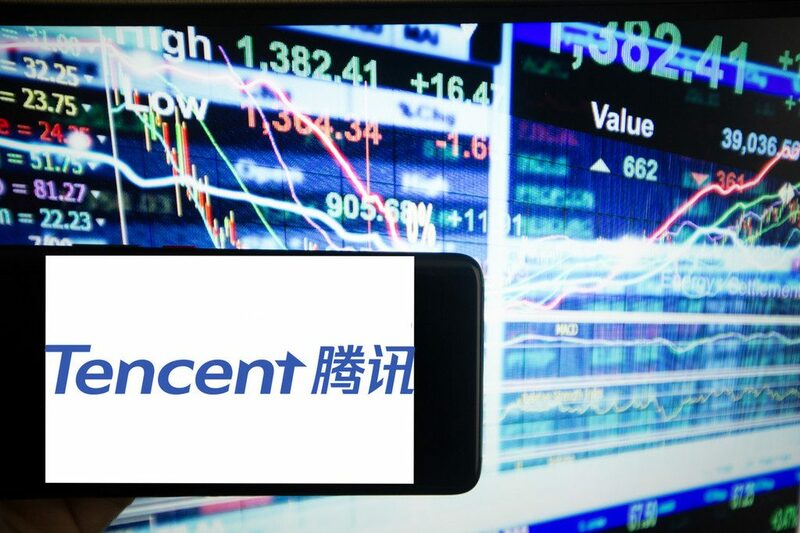 Startups get access to InCube Space (a co-working space), market testing, rewards and funding from True Venture Fund, which could invest up to US$30 million within five years, and promotion through True media. The three-month incubation program provides a potential investment of up to 4.5 million but at least 2 million in cash and 1 million in further grants. 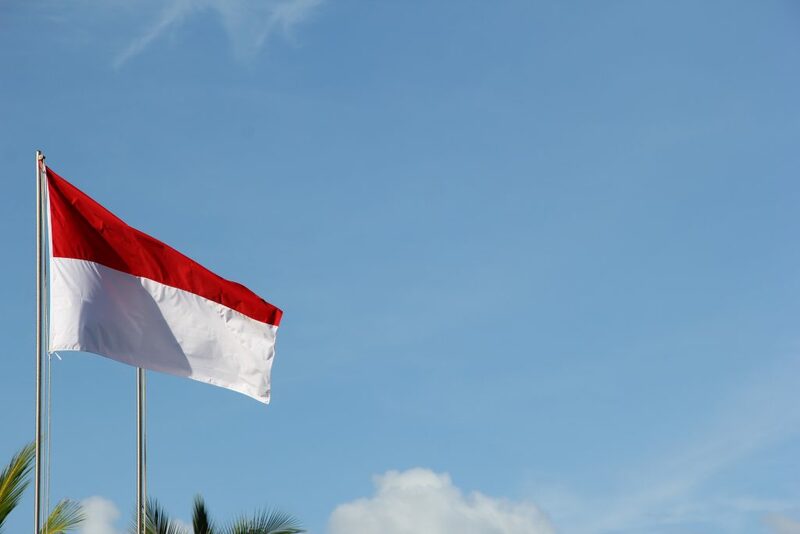 This year’s campaign of Startup Grand Prix takes the five winning startups in an international boot camp to the countries of Singapore, Vietnam, Indonesia, and China. How are startups chosen? Startups apply and are shortlisted. They go through due diligence and five winning startups are selected from the pitching day. These startups are then taken in an international boot camp. They are then possibly presented with the signing of shareholder agreements and go through a demo day. Alumni There is Sellsuki, an app that helps manage Facebook Page’s inbox and sales for online shops. Who are they? DEPA Accelerator x Techsauce is jointly organized by the Digital Economy Promotion Agency (depa) and Techsauce Media. Depa was established in 2017 to promote and support Thailand’s digital industry and Techsauce Media is the organizer of Techsauce Global Summit, one of the biggest tech summits in Southeast Asia. It’s an accelerator with both public and private background aiming at empowering Thai startups and lifting the standards of Thailand’s startup ecosystem. The rather young accelerator was launched in 2018. What startups are they looking for? DEPA Accelerator x Techsauce is for startups that want to work with the Thai government. The program focuses on agritech & foodtech, transportation & automobile, urban & living tech, edtech, healthtech & insurtech, fintech, business & marketing service, e-commerce & platform, AI/Data & Robotics, and hospital & service. Startups have to have a prototype or a real product, a vision and ambition towards regional and global growth, is based in Thailand with Thai co-founder, and is able to fully participate in the program. What do startups get? Startups get to take part in a tailor-made essential program that provides tools for chief technology officers (CTO), financial proposition and fundraising, UX design to improve products, financial proposition and fundraising, and storytelling and pitching training. There is also strong partnership connections, intensive core courses, and coaching by global leaders. Winners receive a 500,000 Baht grant, the chance to pitch on an international stage, free credit to access a private cloud by AWS, and free access to Hubba’s co-working space. There will also be special prizes from Amazon Web Services (AWS) and Hubba. How are startups chosen? Selected startups take part in a boot camp and then present on a demo day. Alumni None, because the program has just begun. Who are they? SPARK Accelerator is backed by the National Innovation Agency of Thailand (NIA) and Israeli’s AGW Group (AGW). The goal is to support Thai startups in early stage through intensive mentoring sessions with regional and international experts to guide and improve startups’ capabilities, products, and solutions. They have organized two batches of startups. What startups are they looking for? Eligible startups are Thai startups with at least one founder/c-level Thai member. Startups should have existing revenues at a growth stage and are looking to expand. The program also requires English proficiency. What do startups get? The ultimate winner will receive one week of international training in one of the leading multinational accelerators in Israel such as Google Launchpad Tel Aviv and/or Barclays Accelerator. The five days will also give startups exposure to VCs, tech experts, and accelerators. In addition to this, winners will have a two-day funding roadshow with leading VCs, funds, and investors. Winners will also be fully sponsored to travel overseas and join leading global startup events RISE HK, Innovfest Unbound, and Echelon Asia Summit. How are startups chosen? Startups sign up online and the qualified ones will be invited to an interview. Once they pass the interview stage, they will compete on a pitching day. Finalists undergo 12-weeks of boot-camp and present on a second demo day. Finally, the winning startup goes overseas to experience a top global tech ecosystem. Alumni The winner of the second batch was OneChat, a platform that manages businesses manage their messages on Facebook by replying messages automatically. OneChat was a startup featured at Techsauce Global Summit 2018.
Who are they? FinLab is a joint venture between UOB (a leading bank in Asia) and SGInnovate (a venture capital fund backed by the Singaporean Government), is a business accelerator that supports technology companies. Since 2015 it has run two cycles for FinTech companies and in the third cycle the accelerator will focus on matching fintech and technology solutions to meet the needs of SMEs. What startups are they looking for? FinLab looks for tech companies that provide innovative solutions for Small and Medium Enterprises (SMEs) so that they can digitalize, increase productivity, and grow their business. Solutions include data analytics, IoT, AI, sales and inventory management, process management, sales and marketing tools, and Travel Tech. What do startups get? Startups get to scale their business into the ASEAN market, access FinLab’s pool of industry experts, community mentors, and investors, co-create with SMEs, and exposure to governments, SMEs and investors. How are startups chosen? There is a workshop for both SMEs and tech startups. First SMEs take part in workshops and then tech startups are selected. There is then phase 2 for the tech startups to pilot their solutions and then they showcase their journey and outcomes from the program. Alumni Siam Express was part of cycle 3. Incorporated in 1983 Siam Express offers travel service management for both inbound and outbound tours for travellers. It is headquartered in Thailand and has branches in Japan, Cambodia, and Vietnam. There is also HelloGold, an app that helps users track live gold spot prices and trade gold via their smartphones. Who are they? Founded in 2015, ImpacTech aims to empower startups and provide a customized accretion program. It was founded by Singaporean PRs Kineret Karin and Mr. Yoav Elgrichi and Israelis who have extensive experience in the corporate and entrepreneurial world. The program uses methodologies that create successful startups in Israel. Thailand is one of the key cities ImpacTech has a presence in. ImpacTech has private acceleration programs that bring new ways of problem-solving, new commercial and business models, and soft skills for leaders. What startups are they looking for? Startups need to provide solutions to social problems that make creates profit as well. What do startups get? ImpacTech’s program involves workshops that last 3-4 months to develop leaders’ soft skills such as self-leadership, negotiation skills, and coaching approaches in business. The accelerator is not based on “one size fits all” principle or other theories. Each startup will be given key performance indicators (KPIs) and assigned to a personal mentor. ImpacTech has over 200 domain experts and mentors. ImpacTech is an Accredited Mentor Partner (AMP) for the Startup SG Founder grant, which provides up to $30,000 by matching $3 to every $1 raised by the entrepreneur. How are startups chosen? Selected startups are paired with mentors and are prepared for the final Demo Day. Assistance with financing and funding is a two-step process where startups need to secure financing and then ImpacTech will connect them with sources of capital according to the nature of the startups and their financial needs. Alumni One of the startups benefiting from this program is weeboon.com, a social fundraising platform dedicated to Thailand. It provides an infrastructure to young philanthropists and creates a sustainable movement for grassroots NGOs. There is also ChiWii, an app that provides health consultation. Who are they? TIPCO Ventures is by TIPCO Foods Public Company Limited, a leading company in Thailand’s food and beverages (F&B) sector in terms of fruit juices and exporting fruits. What startups are they looking for? The accelerator is looking for startups in the F&B sector. There are four tracks: F&B distribution, F&B innovation (includes cellular agriculture biomaterials, biochemicals, and convenience food), wellness lifestyle, and customer engagement. What do startups get? There are four leagues. The first is Idea League where startups have ideas and want to make it happen. They will stand to get total prizes of up to 100,000 Baht, a chance to join the Fast Track Accelerator, and access to TIPCO Venture funding. The second is Early League, startups with products and platforms in the early stage. The third is the Traction League, startups with products/platforms that have some traction. Both Early League and Traction League can win the opportunity to join a 1-month Fast Track Accelerator program and have access to TIPCO Venture funding. Lastly, there is the Growth League, startups with a growing business ready to scale. They are able to make a pitch for TIPCO’s executives for funding and partnership. How are startups chosen? Startups applying for the Idea League join a workshop and compete in two hackathon days. Both Early League and Traction League startups apply for the chance to take part in the 1-month accelerator program. Selected startups in the Growth League give their pitch to TIPCO’s executives for funding and partnership. Alumni The program is still ongoing so Techsauce is excited to hear about their alumni soon! Who are they? Allianz Ayudhya Activator is a product of Allianz Ayudhya, a leading life insurance company in Thailand that has been operating for 63 years. The Allianz Group is a major shareholder of Allianz Ayudhya and has been offering financial service for over 125 years. Allianz Ayudhya Activator is an incubation program focused on co-creating new insurance technology ventures by supporting finance and healthcare innovation. It is the first insurtech incubation program and a first for Allianz in the Asia-Pacific region. What startups are they looking for? The focus of the accelerator is on the insurance sector which includes fintech, healthtech, and insurtech. Areas of interest are mobility & connectivity, commercial & residential property, insurance & wealth, digital health, data intelligence, and cybersecurity. 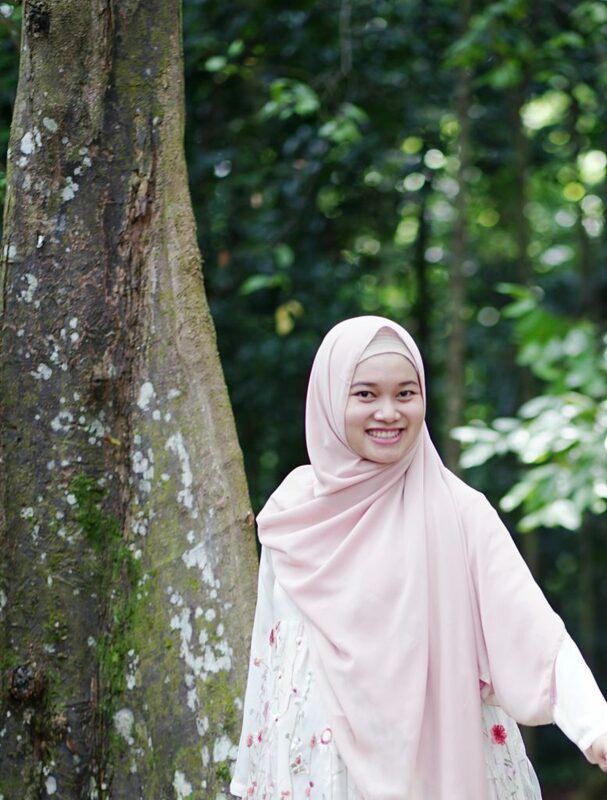 Allianz Ayudhya Activator is interested in early-stage startups and later stage businesses. It is open to students, startups, “new economic warriors”, and entrepreneurs. What do startups get? Winning startups take part in a 12-week intensive program, could receive up to 2 million Baht worth of investment, the chance to scale globally, get market insights from Alliance, test their product on millions of Allianz Ayudhya customers and take part in the InsurTech incubator in Munich, Germany. The collective value is worth over 12 billion Baht. How are startups chosen? Startups take part in a 12-week intensive program to show they are worth investment. Alumni The winners of the first InsurTech incubation program was Doctor A to Z, Sharmble and Vitaboost Wellness. Doctor A to Z is a web platform that matches patients’ surgical needs with trusted doctors at affordable prices. Sharmble is a digital platform offers full-service care for patients suffering from chronic diseases who live in remote areas. It offers free delivery of drugs and access to doctors via telemedicine. Lastly, Vitaboost Wellness is a program that customizes nutrition packs for users based on their blood test results and lifestyles. Who are they? SPRINT is Thailand’s first specialized accelerator and incubator for science and technology. It is co-founded by SCG Chemicals, Houston Technology, Center Asia, SASIN, KX, and TCELS. What startups are they looking for? SPRINT looks for startups in the early or seed stage in the industries of sustainability & green technology, industrial IoT & inspection, advanced materials, and healthcare & medical device. What do startups get? Startups get to take part in a 4-month accelerating program for business and marketing strategy and financial, IP and pitching skills. There is 1-on-1 mentorship with experts in the field, a chance to network with entrepreneurs and industry experts, and the opportunity to pitch to SPRINT’s VC and investment network. Startups can also trial their technology in the industrial environment and no equity is taken from the company joining the program. Startups are required to have a team of at least five people, good English communication skills, a potential IP protection on their tech, and are able to join the accelerating program from July – November (evening). How are startups chosen? Startups apply and the successful ones are chosen to take part in a matching event, an accelerating program, a pitching camp, and then a demo day. The pitch deck should have the company name, the business opportunities it has, its value proposition, technology information and intellectual property information, the current status of the product, as well as a brief business model. There should be at least 1 innovator and 1 business developer in the team. Alumni Algaeba is one of the startups from the accelerator’s batch one that won best foodtech/agritech startup in 2018 at the ASEAN Rice Bowl Startup Awards. Algaeba produces microalgae at a large scale that helps shrimp hatcheries gain 30% more profit. Originally published on Techsauce, written by Chaowarat Yongjiranon.